After Still More @Untappd Badges 18.5, I went quite awhile without posting any, and so I accumulated enough to be overwhelming. I tried to catch up by posting less information about the badges in Untappd Badge Catch up and More Untappd Badge Catch up. It worked, and now I am ready to proceed with the regular format of these untappd posts. Next up was B. My List actually had 3 breweries whose names began with the letter B. No one gave a suggestion in the comments, so I just randomly picked one. They are located in a little strip mall at 320 Broadway, Suite E, Denver, CO 80203. 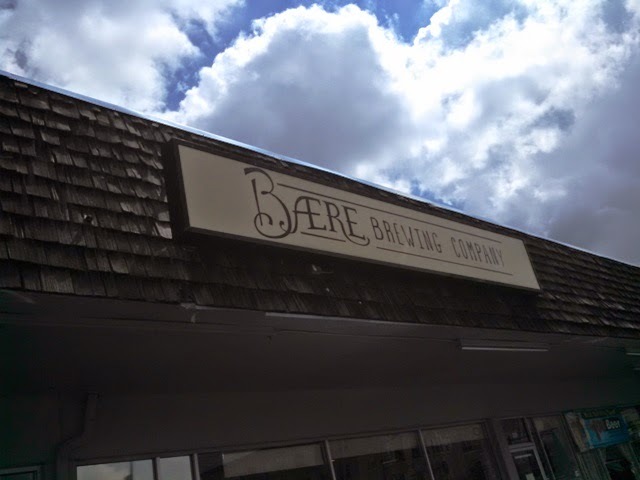 Baere is fairly new (opened July 2014). Somebody told me something good about it at some point. I don't remember who and I don't remember what they said, but I do remember it was something positive. 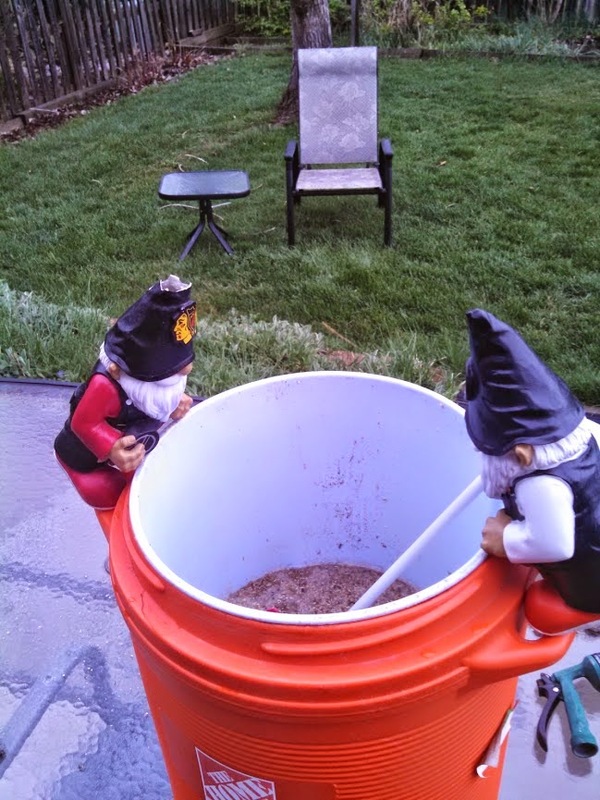 The SheppyBrew Gnomes and I brewed Summer Lovin' American Wheat Sunday. The recipe for Summer Lovin' has been around for quite some time, and I use it as a base for a few fruit beers. Most notably, Apricot Lovin' American Wheat and Boo Berry American Wheat. The beer was originally created because The Beer Model wanted something like New Belgium's Sunshine Wheat. You know ... light and refreshing with coriander and orange peal. It is a wheat beer without the banana and clove of the German Weizen. Just a nice summer beer to sip or chug or whatever you prefer. If you follow the blog, you may recall that we spent "Spring Break" in Orlando Florida. I've already posted that we went to Universal Studios Theme Parks (see Orlando Trip: Universal Studios) and Kennedy Space Center (see Orlando Trip: Kennedy Space Center). 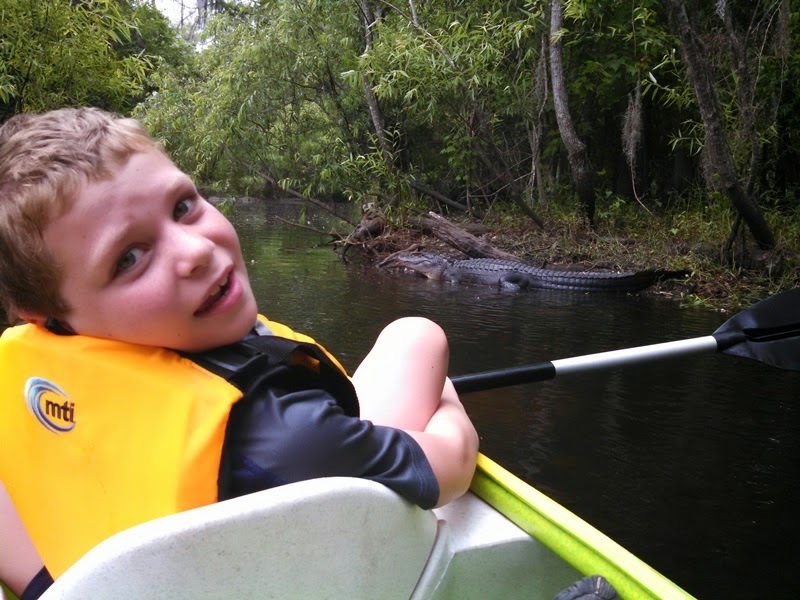 Another thing we did was to seek out alligators. We even found some. Oh boy did we. If you follow the SheppyBrew Facebook Page, or my twitter feed, you may have noticed that I posted another article to The Homebrew Academy. If you haven't seen it, go take a look. Leave a comment. 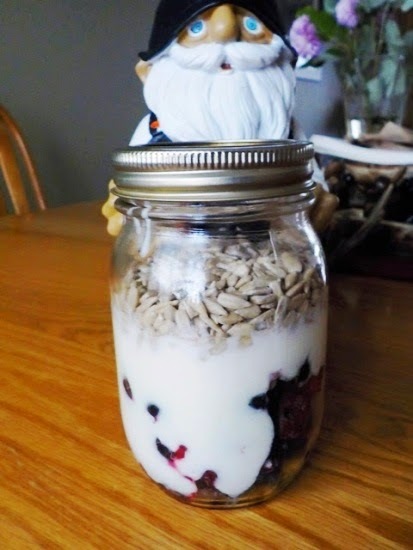 Well, I thought "my" method of Crock Pot Yogurt was simple, but the very first comment on the article told me that I "may be making yoghurt more complicated than it needs to be". Do you remember about SheppyBrew's Seasonal Saison series of beers? It all began in the winter of 2014 with Arctic Vortex Winter Saison. It includes a Summer Saison (Hail Storm Summer Saison) and an Autumn Saison (Falling Leaves Harvest Saison). But, I skipped Spring. As obvious as it should have been, I didn't think of doing a Saison for every season until that first Spring was over. But, Spring is back, and now I was finally able to add a Spring Saison to the series. I brewed it Saturday. I mentioned a few days ago that we spent last week in Orlando Florida (see Orlando Trip: Universal Studios). Of course, as I mentioned, we spent a couple days at at Universal Studios Theme Parks, and we had loads of fun there. Even more cool, though was visiting the Kennedy Space Center. I wasn't sure what to expect at the Kennedy Space Center, but it was completely awesome. If you are ever in the area, I totally suggest you make the drive. It takes a whole day. We were there close to the opening and didn't leave until close to closing. We didn't come close to seeing everything there was to see. Q1 of 2015 was actually pretty busy at the SheppyBrew Brewery. I brewed six batches. SheppyBrew Brewery is going Professional! Yes, we have decided that we are going to sell our beer ... for money. The Brew Master has decided to quit his day-job and raise the capital for a brand-new 7 barrel brew-house. If you have a couple million dollars you wish to invest, we are open to discuss how you can help get this shiny new brewery open. At this time, we have not decided on a location, but we are fielding offers from multiple municipalities who want us. 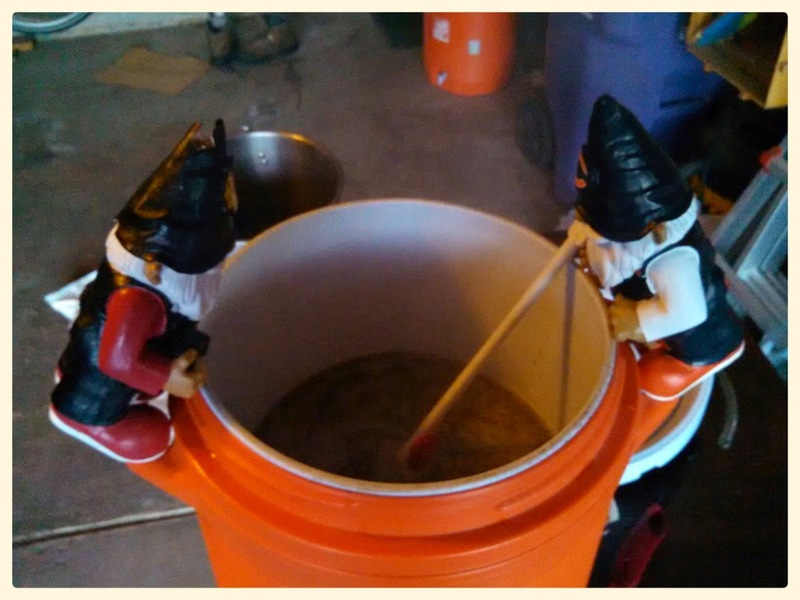 We will continue to employ gnomes to do most of the day-to-day brewing. Gnaughty and Gnasty will be promoted to co-head brewers and we will be hiring a small army of other gnomes to assist in the brewing and packaging process. We will not discriminate against leprechauns, tommyknockers, elves, or any other kind of small, mythical woodland creatures, but there will be absolutely no consideration to any creature who is a fan of the Detroit Red Wings and we will certainly not be hiring ANY Green Bay Packers fans.